Latvia started it's Eurovision selection Supernova 2017 tonight, with eleven performances. The public chose Lauris Valters and Linda Leen to qualify for the semi-final, while the jury selected Miks Dukurs and Franco Franco to qualify. Miks Dukurs – "Spiritual Priest"
Lauris Valters – "Magic Years"
Linda Leen – "Who is in Charge"
Supernova 2017 will consist of four shows: Two heats, one semi-final and a final. LTV broadcast two introductory shows on 22 and 29 January 2017 that covered the background preparation processes and performer auditions that occur prior to the competition. Each of the two heats qualifies four songs for the Semi-final. Public televoting selects two semi-finalists, and a jury panel selects two others. In the semi-final, the public selects two finalists and the jury selects two finalists. In the final, the public televoters exclusively decide the winner og Supernova 2017. 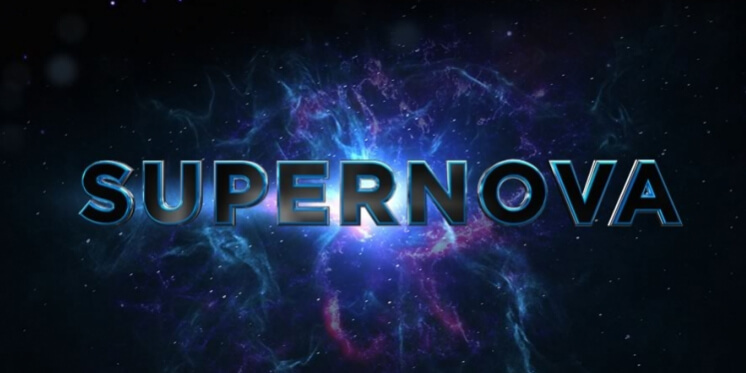 22 acts competes in this year's Supernova in Latvia. The broadcaster received 168 applications and chose up to 50 to audition in front of a jury with representatives from the music industry: Petri Mannonen (Universal Music), Matthias Miller (BMG), Fružina Zepa (Lollapalooza Berlin) and Joy Deb (co-writer of "Heroes" - Sweden 2015).The 22 songs have been presented in two "Introductory shows", aired on 22 January and 29 January 2017, and allocated to the two heats of Supernova 2017. All four shows are broadcasted from LTV Studio 6 in Riga. Latvia 2015: Aminata Savadogo - "Love Injected"
Latvia appeared in Eurovision Song Contest in 2000, and since the debut, the country has participated every year (16 times) in the contest. The best result was in 2002, where Latvia won Eurovision Song Contest with the song "I Wanna" by Marie N.
The last seven years Latvia only managed to qualify for the Grand Final last year (Aminata Savadogo - " Love Injected") - three of the years they went last in their semi-finals!